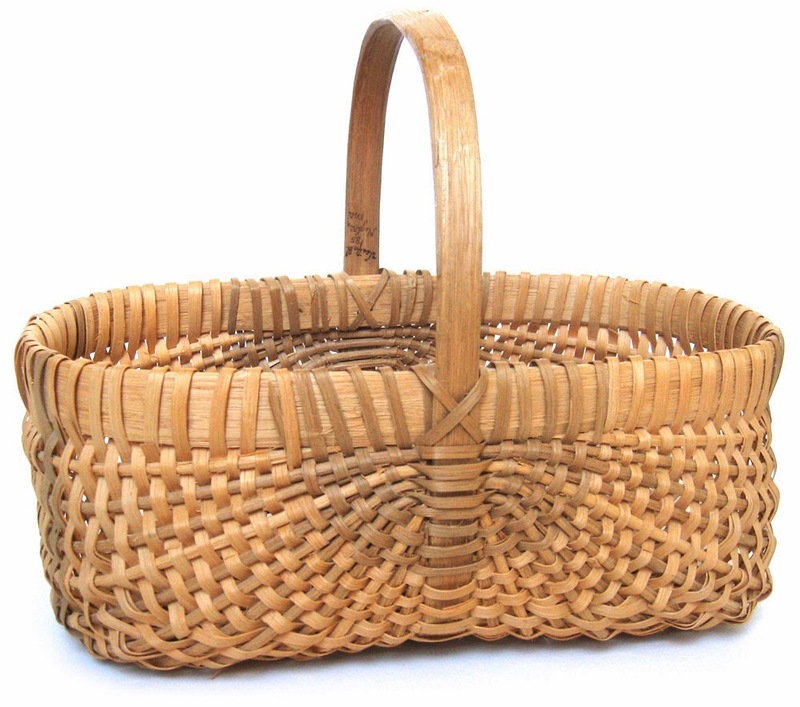 Earlier I wrote about a white oak basket I had in my collection from the Westfall family of Missouri. Here are some others by the same family. 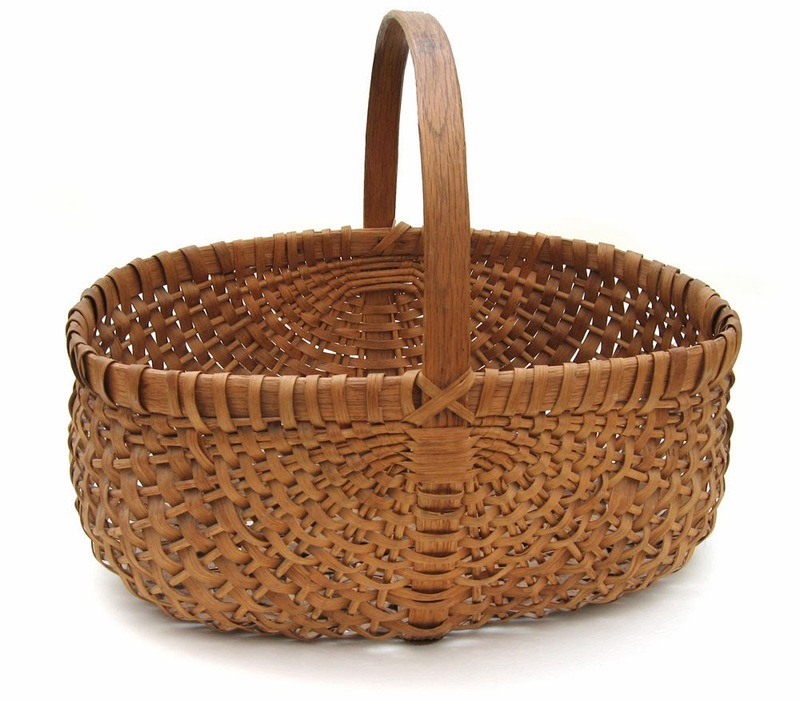 OK, you know you have too many baskets when you can't figure out what you did with one. 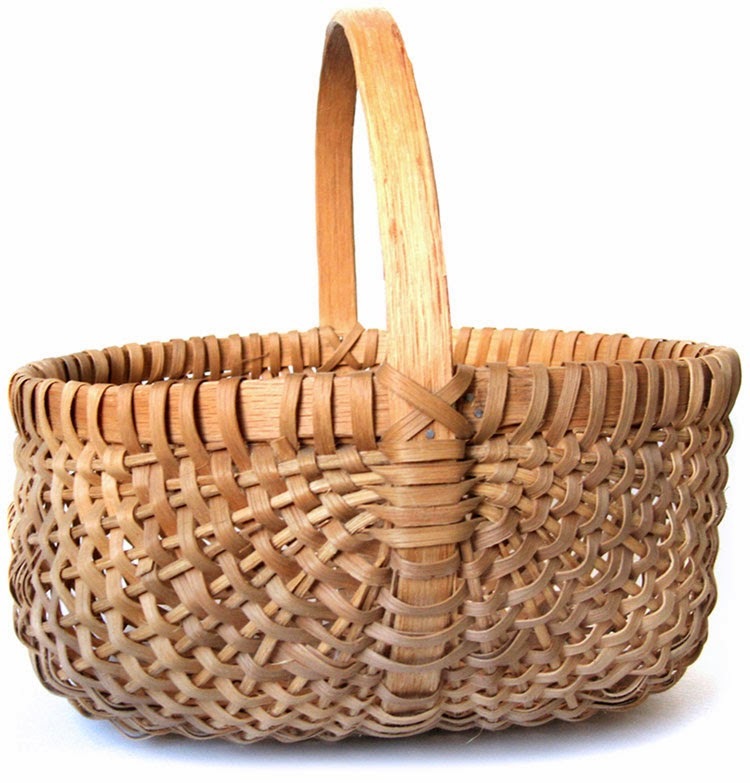 You can tell that the above baskets are made by the third to present generation of the family by a simple signature feature. Below is the feature to tell the difference. 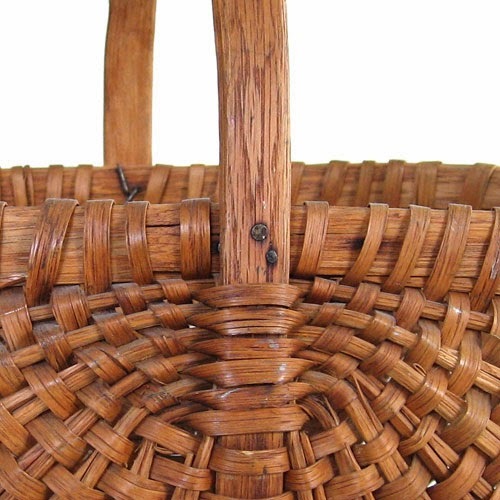 Antique baskets = no cross at handle and rim. 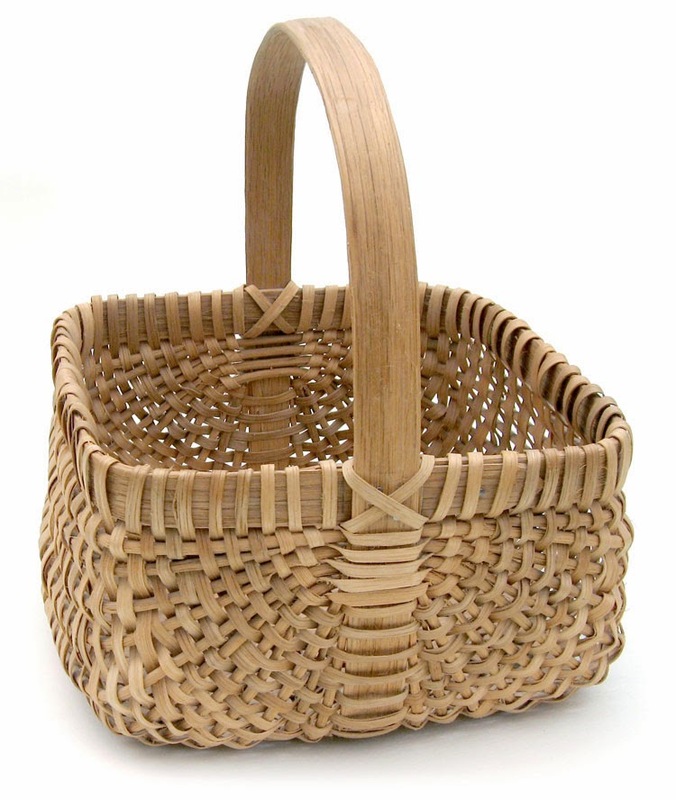 Contemporary baskets = cross at handle and rim. 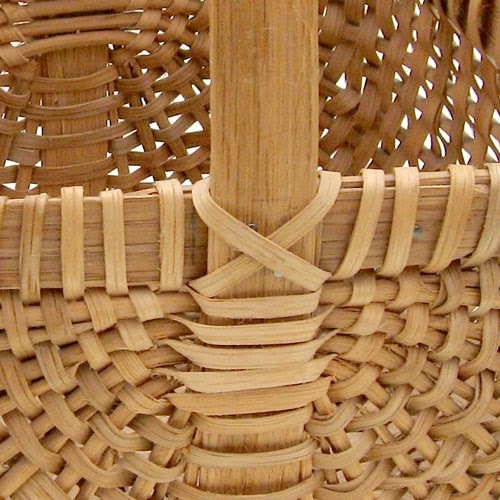 Thanks so much for showing aunt Margie's work. And uncle Everette.